It just was going too slow, and is just unrealistic. There is no one way to build an online brand. I'm sure I was giving some helpful tips, but it takes so much more than that. Here's why, and I also mention an upcoming project called The Resident Connection. Mobile Post - 6 Months Free ... Really? Hello, my name is Mark Juleen and I am the V.P., Director of Marketing for the J.C. Hart Company. 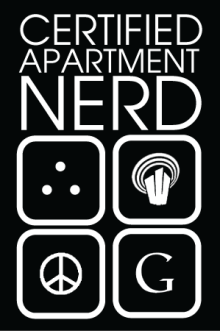 I've enjoyed being a part of the apartment/multi-family industry, and this blog serves as my platform to share experiences, thoughts, and ideas from my perspective and others in the industry. Views expressed here are not necessarily those of the J.C. Hart Company. I hope you enjoy it, and please feel free to share it with others. It's what we share that will take us there. Enjoy your day!